This is a Twitter In-stream photo from one of our social media templates to which has been added a logo (top left). Right away you can see that the text and the logo match the colors of the photo. This is a great look because it creates a seamless theme between pictures and text and it's also one-tap easy when you use our Get Theme Colors feature. 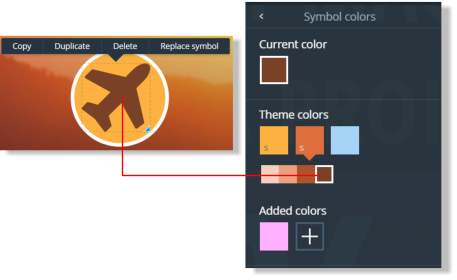 Here's how to create the logo using shapes, theme colors and a symbol from our library. Start by opening the Twitter In-stream Adventure template - it's in the Twitter templates folder. When you've got the template open, zoom in to give yourself some room to work (try using Ctrl + mousewheel to zoom). 3. 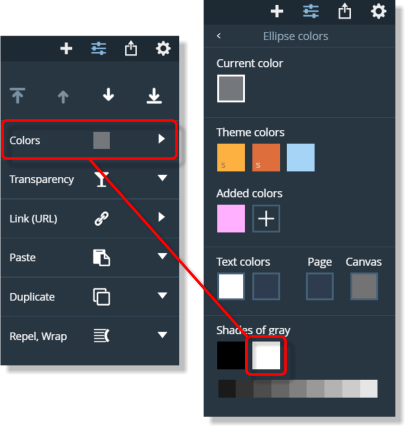 The circle has been added to the document template - it's default color is gray but we're changing it to white - tap Colors on the Properties panel then and then the white patch to change colors. 4. 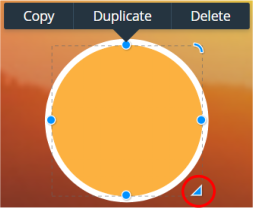 Now tap on your circle and choose Duplicate from the context menu - another white circle will appear on top and slightly offset to the original. Tap the light orange theme color patch to give the circle a new color. 5. Drag the yellow circle over the white one until it is directly above it - notice how the alignment guides appear as you drag. A green cross indicates you are at the center point of the two circles. 6. Now holding down the shift key, drag the resize handle (circled) to shrink the yellow circle to about 90% of its original size. Now the 2 circles look like one - with a white border. 7. 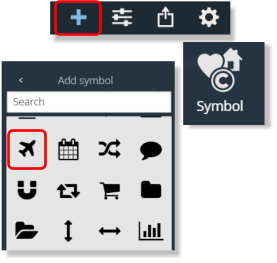 Now add the plane symbol from the symbol gallery using the +(Add) menu, as for the circle. 8. 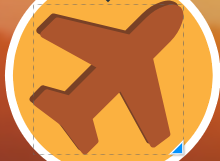 Fly your plane over to the yellow circle - park it in the center and give it a new color (the default symbol color is black). A darker brown shade from one of the theme colors will do. 9. 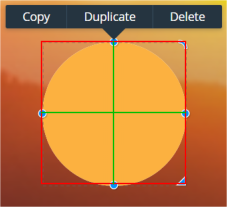 Now duplicate the plane like you did with the circles - but this time use Ctrl + K instead. This is the clone command and will place a copy exactly on top of the original. Now give the clone another lighter shade of the brown theme you just used. 10. Then using the arrow keys - shift the clone downwards and to the right of the original, one tap down and one right should do it but you can experiment. The idea is to create a little drop shadow to give the plane a 3D look and make it stand out from the background. 11. Now create the little sun that is behind the wing. 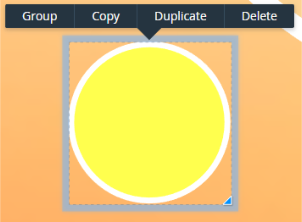 Create a circle like you did before using the Add + menu and color it white, then use Ctrl + K again to clone the the white circle, and color this one yellow. 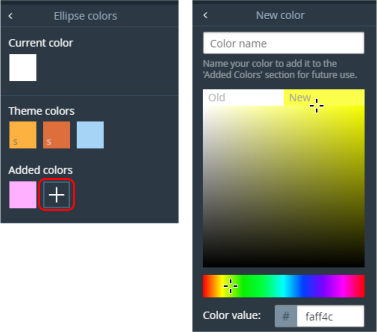 Tap on the + button to pull up the color picker and choose a bright yellow. 12. Now holding down the shift key like you did in Step 6. drag your yellow circle until it is about 90% of its original size. 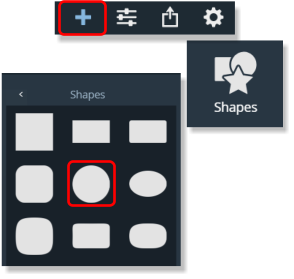 Select both the circles by first selecting one, and then shift + clicking to add the other to the selection - then choose Group from the context menu. Or you can also select them by marquee dragging around them. 13. Resize and drag your sun over the plane wing, and then tap the Move backwards button on the properties panel to set it behind the wing.